We are excited to announce that we are hosting Earth Day at EarthLab on Saturday, April 21st, from 9-11am. Our incredible partner, NASSCO, will be joining us again to remove dead trees, clean the creek bed, spread mulch, and remove trash. 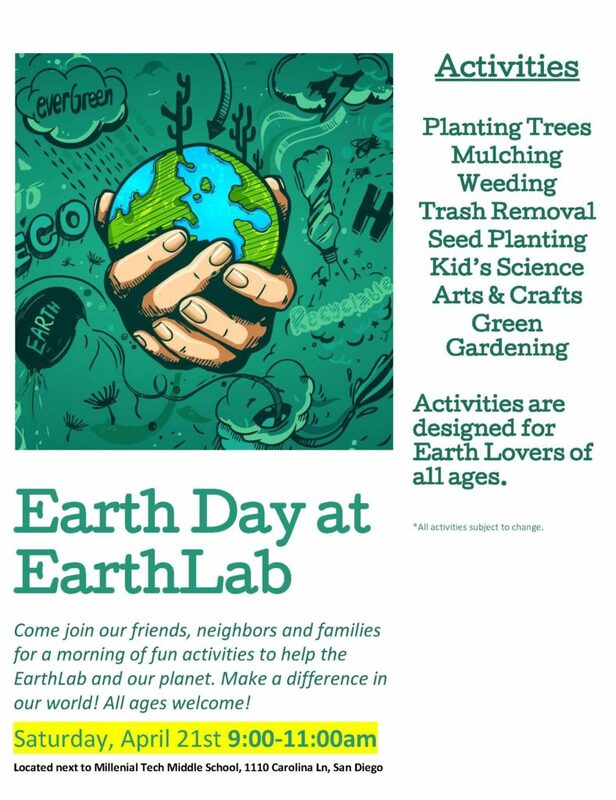 This will be a productive day for the EarthLab and for the environment. We will also have select science teachers conducting age-appropriate activities for our younger students. These activities include science experiments, seed planting, arts & crafts, and more.